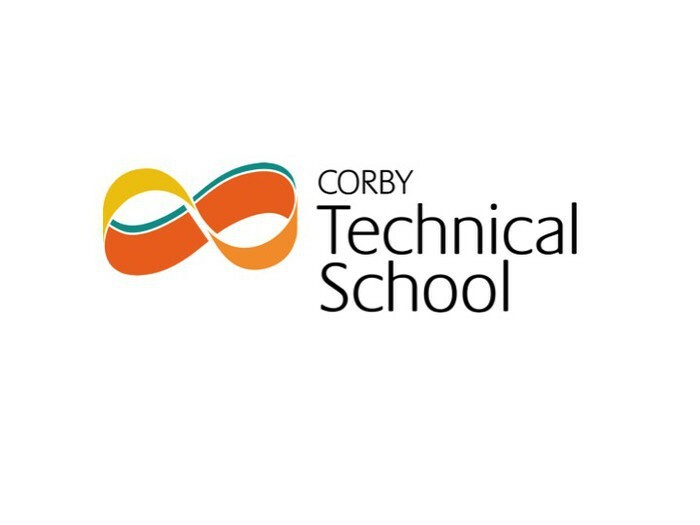 On Friday, Year 12 students, Kara had her first original song "You Were The One" played on Corby Radio. 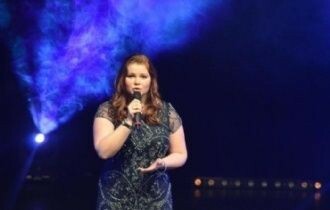 Kara, who recently won Northampton's Rising Star 2017, heard her track being played on the radio for the first time this week. 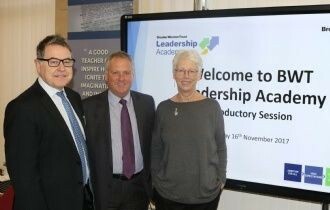 Nearly 50 delegates from across our Trust schools, including Corby Technical School, went to the inaugural meeting of the Leadership Academy, an initiative designed to nurture talent and succession planning. Well done to Lexi, 7CO who came first in the U13 District Cross Country Championship this week. Mr Gourlay has nominated Year 7 students who took part in the very first Year 7 code club. They showed great initiative and created some really fantastic programs in Computer Science. Mrs Prior has nominated Faye 11C for her fantastic preparation and approach to this week’s English assessments. Miss Connellan has nominated Year 10 students for their conduct and positive attitude in the English mocks this week. Mr Holmes has nominated Finlay 7TE for outstanding work in History. 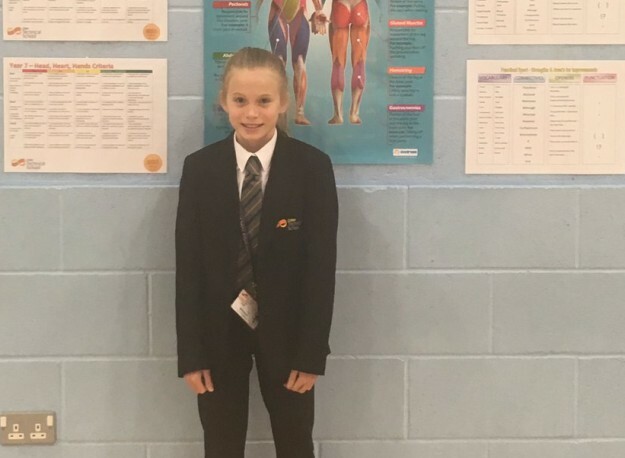 Mr Rogers and the PE department have nominated the following students for their achievements this week, Lexi 7CO who finished first in the cross country and the girls team won the district team competition. Grace 7 ST was player of the match in the narrow defeat by Latimer on Tuesday night in Year 7 and 8 Girls Basketball. The following Year 9 students have been chosen to train with the BWT elite Rugby squad, Ewan, Jamie, Emmanuel, David , Macauley, Damien, Ryan and Rohan. Mr Rogers has also nominated Jessica 11S, and Jordan-Lee 11T for their hard work in GCSE PE. Mr Cox has nominated Abigail 9C for excellent work and supporting the understanding of others in Science and excellent creativity in her assessment in Drama. Mr Lee has nominated his Year 7 Maths group for their fantastic start to the unit on algebra and Aaron 11C for his dedication towards his GCSE revision. 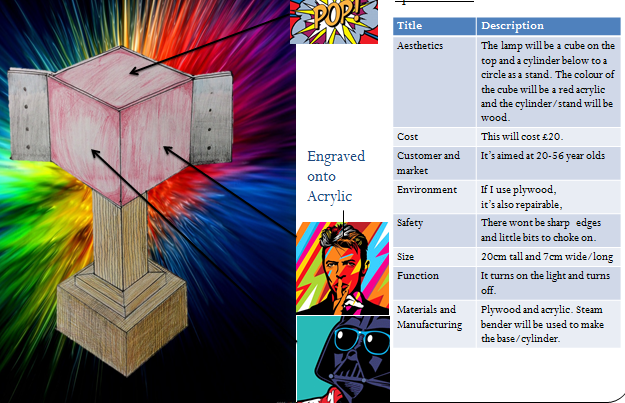 Our Year 11 Product Design students are nearing completion of their portfolio's. Work pictured is by Jamie, Jasmine and Luc. 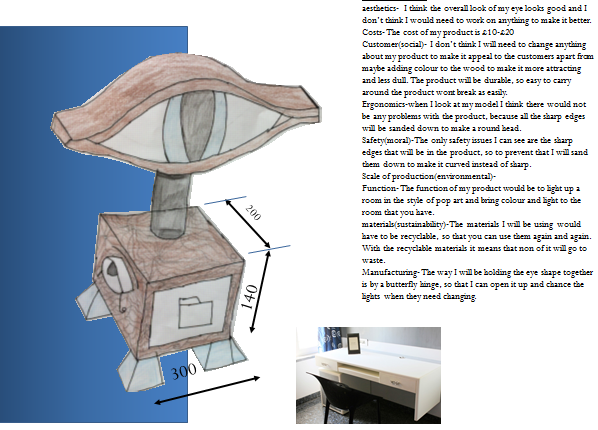 They starting to think about the manufacturing of their lighting and storage designs using a combination of hand drawn and computer graphics techniques. 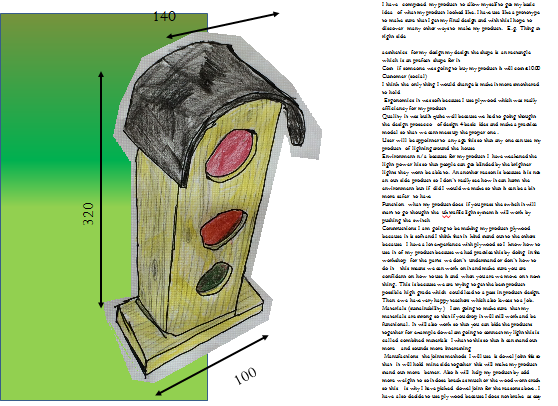 These pictures are examples of the presentation drawings that could be used to promote and communicate their ideas to prospective clients. Year 8 Parent/Carer Consultation Evening will take place on Wednesday 29th November - please book your appointments using the online booking system. A Parent/Carer Coffee Morning will be held on Thursday 30th November from 10.30am to 11.30am in the school Library.